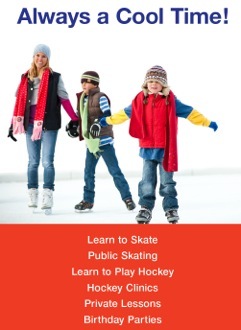 For your skating pleasure, Champions Skating Center offer public sessions throughout the week. Dates and times are available by clicking here. 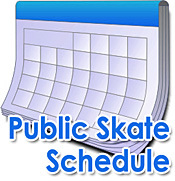 Please check to verify session times as we may change or adjust session for special arena events. Thank You! See schedule for extended session prices. There is to be NO ball playing or stick handling in the rink. Children should NOT be left unattended anywhere in the building as there are many entrances and exits. Due to thefts in the area, it is recommended that you do not leave valuables in your vehicle. We recommend that skaters wear helmets, but you need to bring your own.